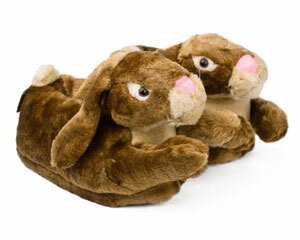 These classic Bunny Slippers are a staff favorite. 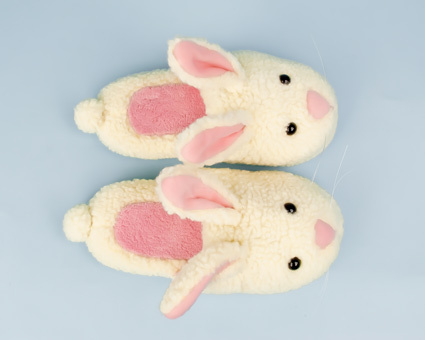 Overstuffed for comfort, they feature wireframe adjustable ears, a cotton ball tail, bouncing whiskers, and distinctive pink detailing, all of which make them the best such slipper design we've seen to date. 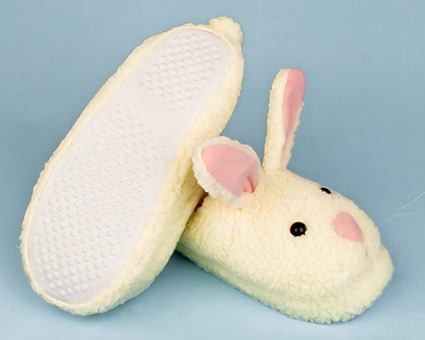 The classic Bunny Slippers come in a wide range of sizes, ensuring a comfortable fit for every member of the family. These adorable bunnies are even available in children's sizes!. If you are between sizes you should order the larger size. For additional information on the materials, click here. For cleaning instructions, see our tutorial. I love these! They are super comfortable and absolutely adorable! The only thing to note is that they run a bit small because the part that goes over your foot is filled with stuffing, so you kind of have to squeeze your foot in unless you order larger than you think you need. With that in mind, definitely order a pair! They're wonderful! 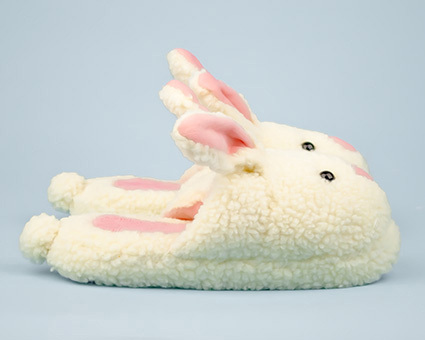 The best bunny slippers available. I’m on my 3rd pair in 10 years. Advantages: Washable. I didn’t realize they were cold water wash. Ive always just tossed them in with a regular load, straighten the ears out and let them air dry. Though once on a cold day I put them in the dryer because I wanted them fast, it didn’t seem to hurt them, but I wouldn’t do it all the time. Fit well, good bottom dots. I have had the classic bunny slipper for years. I hadn't found them in a long long time. My dear friend found them for me for Christmas. I am the happiest old kid on the planet!! Advantages: Just classic, soft, and cute as hell! Disadvantages: On backorder for a couple months, but still the best! She loved them, enough said!!! These are such cute products! 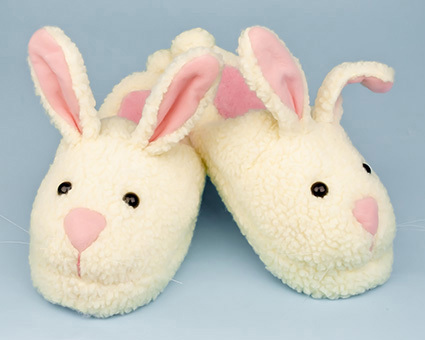 My 40-ish year old husband has wished for “fuzzy pink bunny slippers”. And after 20 years of searching, these guys finally provided him with a couple of comfy and adorable options! I made two orders and received a refund for one without hassle. I look forward making another purchase! Advantages: Adult male sizing available! 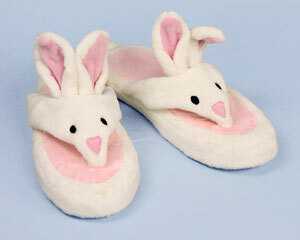 Disadvantages: The pink bunny slippers include lavender which is undesirable to the adult male. Love my slippers!! They are comfortable and cute. 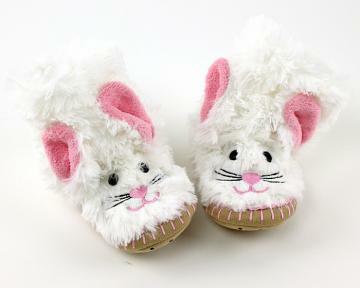 These are the cutest bunny slippers I have ever seen. The quality is outstanding. I gave them to my daughter for Christmas and she loves them!